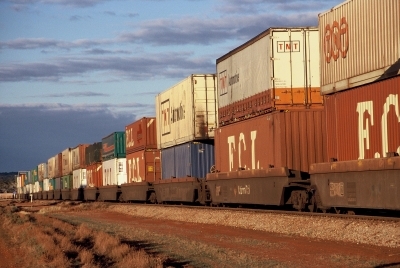 National freight productivity will be boosted through the injection of $125 million to start the roll-out of the Advanced Train Management System across the national rail network and the next stage of the Port Botany Rail Line Upgrade, Warren Truss has said. Deputy Prime Minister and Minister for Infrastructure and Regional Development Warren Truss says he has advised the Australian Rail Track Corporation that $50 million is available for the Advanced Train Management System, so roll-out can get underway as soon as possible. “The Advanced Train Management System will lift innovation in the sector by replacing current high-cost, low-reliability track-side signalling with a state-of-the-art computer system that will underpin the national network’s future operations,” Mr Truss said. “This will increase the capacity of existing networks by allowing trains to run closer together, as well as improving safety by allowing greater control over trains by network operators. “This is smart funding for smart technology. We are supporting the development of information technology that unlocks more capacity within our existing infrastructure in the most cost effective way possible. “It also sets the foundation for the operation of the new Inland Rail link, the new Melbourne-to-Brisbane line we are committed to building. “Meanwhile, our $75 million investment in getting Stage 3 of the Port Botany Upgrade underway will complement the completed Stage 1 works and current Stage 2 works due for completion this year. 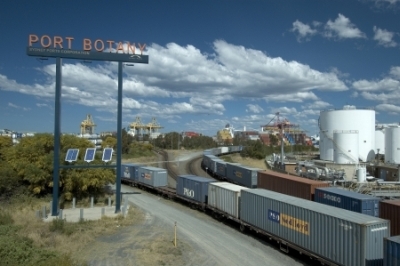 “Stage 3 will continue the upgrade of the Port Botany Rail Line on segments that have sub-standard track condition, such as poor ballast, replacing the last remaining timber sleepers with concrete, and replacing sections of worn or low weight rail with higher grade steel to increase load capacity.